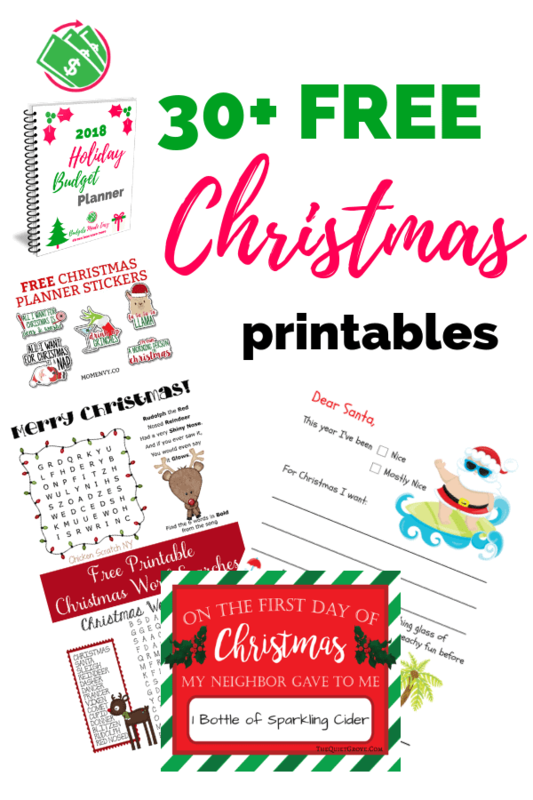 These FREE Christmas printables are so cute and easy to download that they will save your sanity and your money. 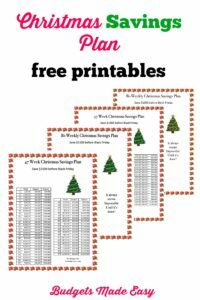 Here is a list of over 30 different printables for Christmas including; gift tags, art, crafts, activities for the whole family, savings plans, and planners. These will help you have fun, start new traditions, and get organized. Let this be the year that you enjoy Christmas without all the stress and overwhelm. This year is your year to have a stress-free, debt-free Christmas. ****When you click on the link or the picture, it will take you to the page to download. Has your kid been good this year? 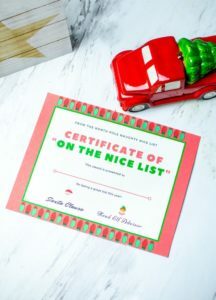 Here is a “on the nice list” certificate! This could even help your wild child behave for a little bit before Christmas. Well, if you free-spirited child is like mine, it won’t help but we can dream right? 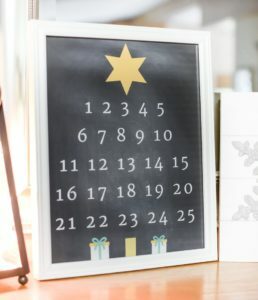 How cute is this Christmas stats and wish list board? Keep track of your kids as they grow through the years. I tell you the older they get the quicker the years fly by. This keepsake will be a small glimpse into time that you can look back at for years to come. 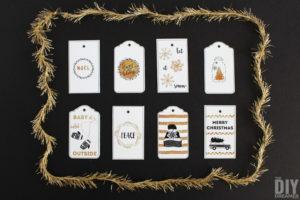 These vintage inspired Christmas gift Tags are so cute! 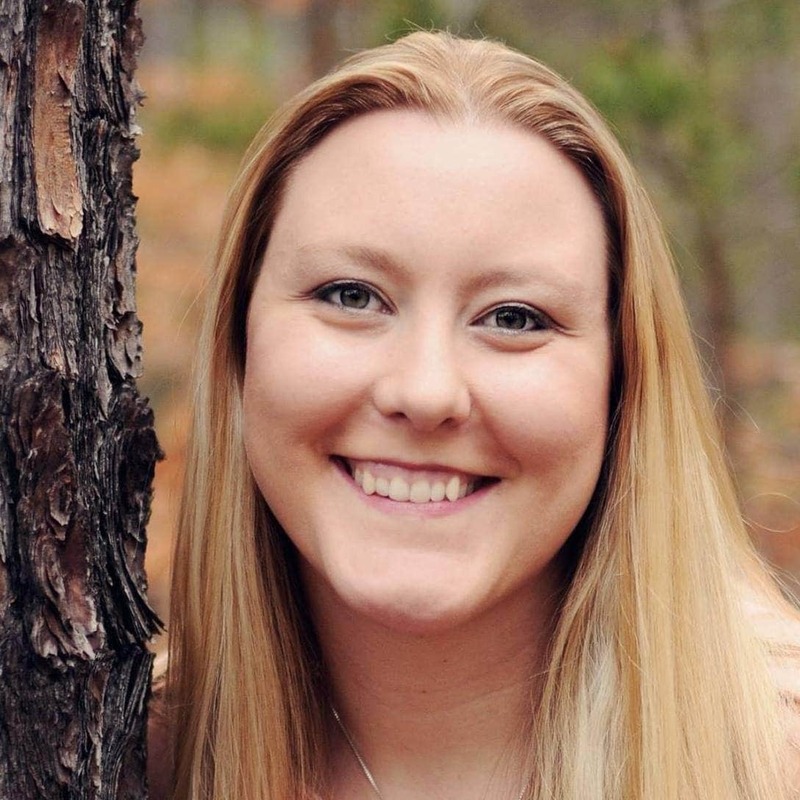 She has a couple different styles to choose from on her website as well. 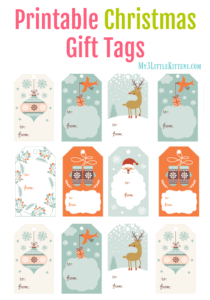 These owl gift labels are too cute not to share…. 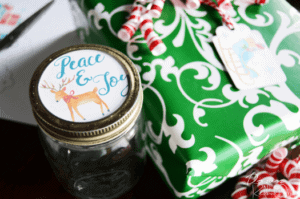 Need mason jar lid labels and gift tags? Here is a free printable for both. Add a cute touch to those homemade gifts this year. 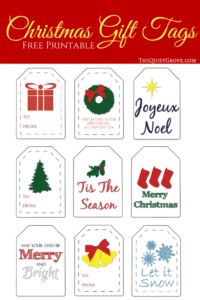 Or these Wishing you a white Christmas gift tags. There are a couple different designs in the same style as well. I never even thought of making my own gift card holder until l saw this! I love this idea plus it’s personal and homemade. This is an easy yet cute touch to add to a teacher’s gift. It is still personal and it will make them feel extra special without spending anymore money. 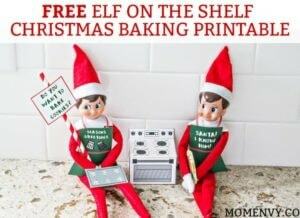 Need Elf on the Shelf ideas? 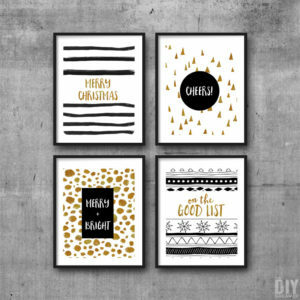 Here are some and she even has a post of 25 printables to give you ideas for every day! 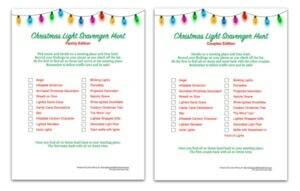 Now this 12 days of Christmas giving printable is such a sweet tradition to start with your family. Your kids will learn about giving and your friends or neighbors will enjoy getting little gifts to let them know you care about them. 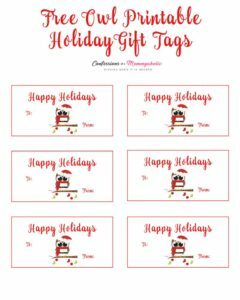 These labels will make it extra cute and special for your gift giving. 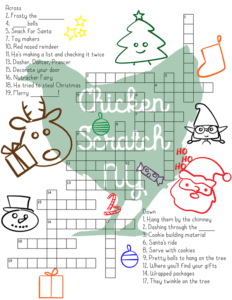 This printable Christmas scavenger hunt will have the entire family having fun. It gives the kids something to do in the car instead of playing on devices. This will help them see the world around them in a new light. My kids love playing “I spy” in the car and will love this for Christmas. 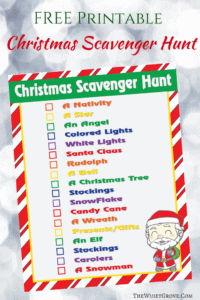 Or this Christmas light scavenger hunt! Looking at Christmas lights is by far my favorite tradition. Every year on Thanksgiving night, we go to a drive thru light show. My kids love it and this will add a little more fun to the outing. Especially now that my oldest can read! She will get a kick out of this. 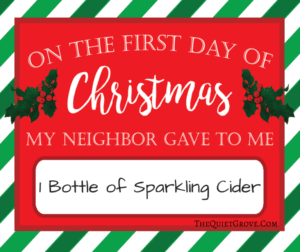 Here is a Christmas activity jar that your kids will love. They can pick out which activity they want to do , like watching a movie, giving to others, game night, ect. for that day. 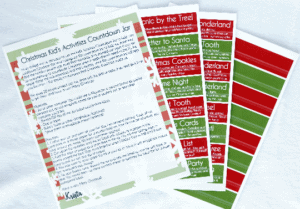 You print off the activities then cut them and put them in a jar. I am going to do this, this year with my kids! 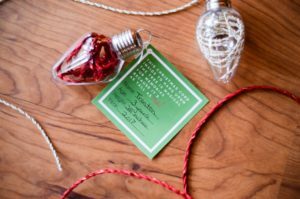 This free activity printable will teach your family about giving generously even with your time. 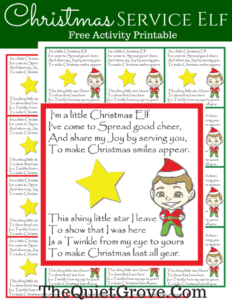 This service elf is full of ideas to help teach your children about service. Christmas is about giving and being generous and this will help teach and remind the whole family what is important during this holiday season. 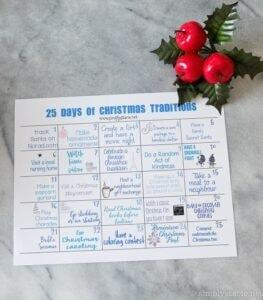 Here is a 25 day Christmas traditions calendar. You can start new traditions or carry on traditions and have something new to do every day. OMG this letter to Santa is the cutest thing ever! 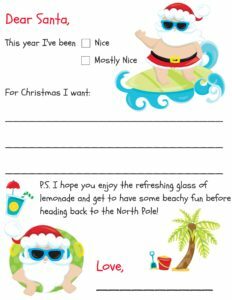 Here is a free letter for Santa! 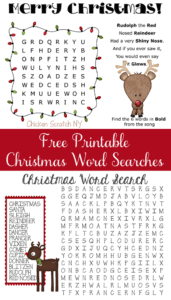 Your kids will love this Christmas word search. This is a fun activity for older kids that don’t want to do the activities for the toddlers. It’s still entertaining and something to do besides play on a device. Plus I’m sure it counts as reading time:). 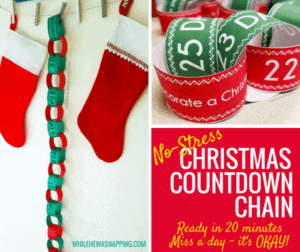 Check out this countdown activity that is a fun way for the kids to keep track of how many days are left until Christmas! It’s a quick easy craft that they kids will love helping make and then tearing apart! Or this countdown printable. My kids love marking off each day and counting down til Christmas. This one is so much cuter and you can put it in any frame to match your decor. 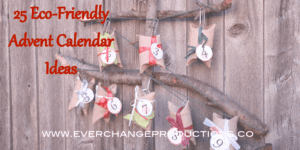 Here is a free printable advent calendar and ideas. 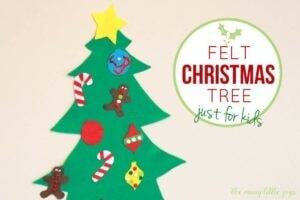 Looking to make a felt Christmas tree this year? Your little kids will enjoy this one and maybe leave the real one alone…I can hope right? Want to remember how big your kids were each year at Christmas? Here is a time capsule ornament that you make with string for how tall they were and their stats. My favorite part of ornaments is getting a new one each year. It is such a joy to unpack them each year and remember the times from years before. 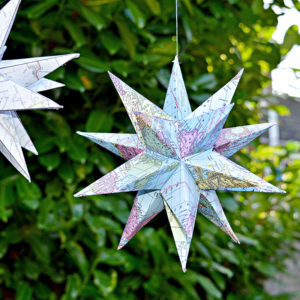 This 3D Christmas star is a perfect activity for older kids. Plus she gives you step-by-step directions and pictures to help you do it. You can use any kind of paper you want. I love the idea of using a print paper like this one. Is this not just the cutest thing ever?! This would look good in a picture frame. 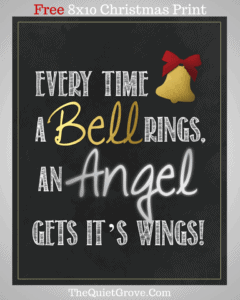 This actually reminds me of my mom’s favorite Christmas movie, It’s A Wonderful Life. We watch it every year. It is a classic if you haven’t seen it before. Make it a must watch this Christmas. She also has other prints for you as well. This art is so cute and classic. She actually has a couple different ones to choose from. 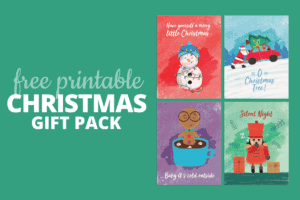 This Christmas gift pack could be printed in different sizes for several different purposes. Use them as Christmas cards or art. Get an early start for next year or even a last minute rush on saving for Christmas this year. These savings plan will help you avoid debt for Christmas. You can have an enjoyable stress-free Christmas without worrying about the credit card bills coming in January. 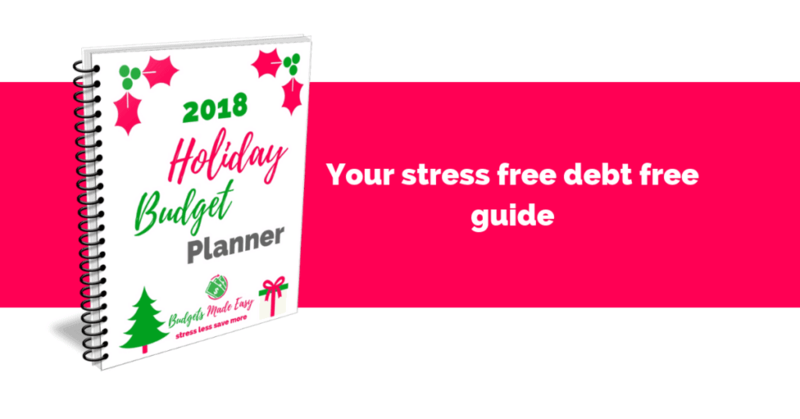 This 2018 holiday planner will help you reduce the stress and overwhelm this holiday season. It is more than a budget planner in that it helps you set your priorities and goals for your money and time. It also includes meal planning sheets and shopping lists to help you stay on budget. Stay focused on what is important during the chaos this season with this holiday planner. I hope your Christmas season is fun and enjoyable and you are able to start new traditions this year. This is my favorite time of year and I enjoy doing new and exciting things for the kids each year. I love these new ideas and can’t wait to start doing them this year. 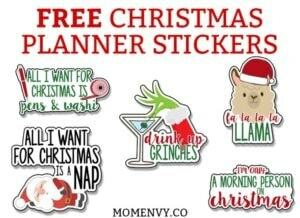 I hope you enjoy the free gift tags, activity ideas, art, crafts, and planner! Make this year a stress-free, debt-free Christmas that your family can enjoy. « How to save $1000 in 30 days!